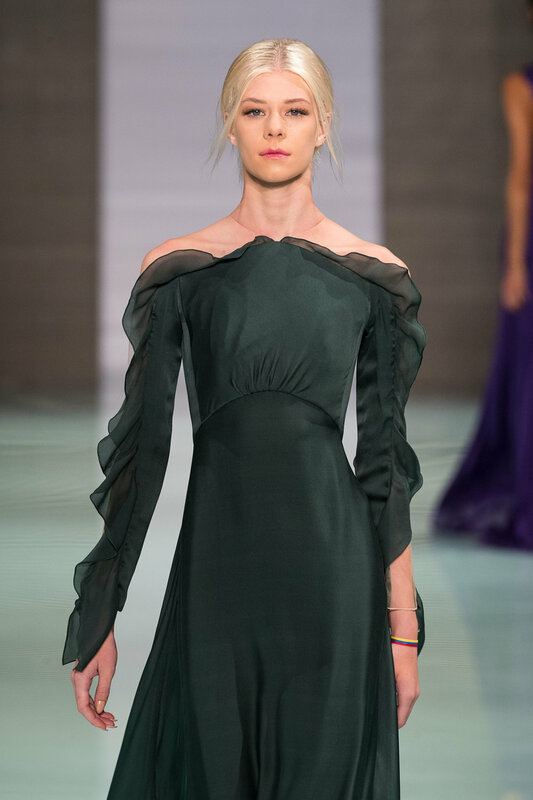 Angel Sanchez, a Venezuelan, celebrity designer based out of New York closed Miami Fashion Week with his 2018 Resort Collection on June 4th at the Ice Palace. 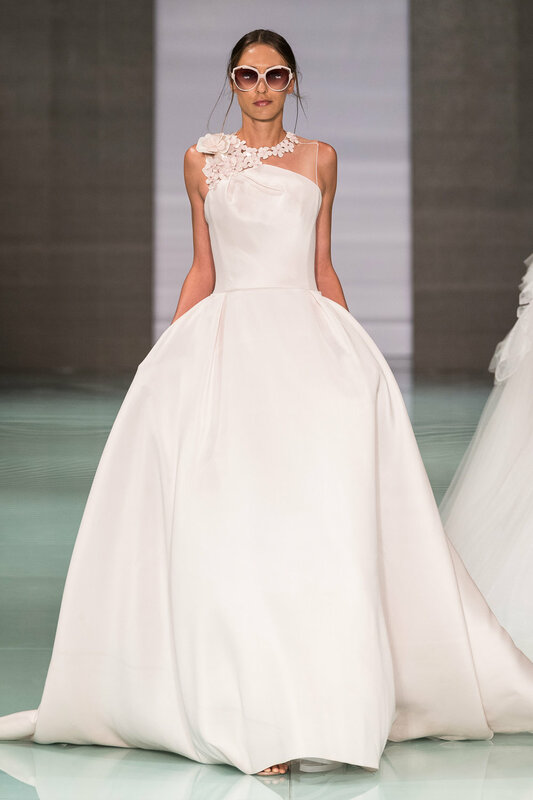 Sanchez is known for creating Red Carpet and Wedding couture gowns for many international and Hollywood celebrities. 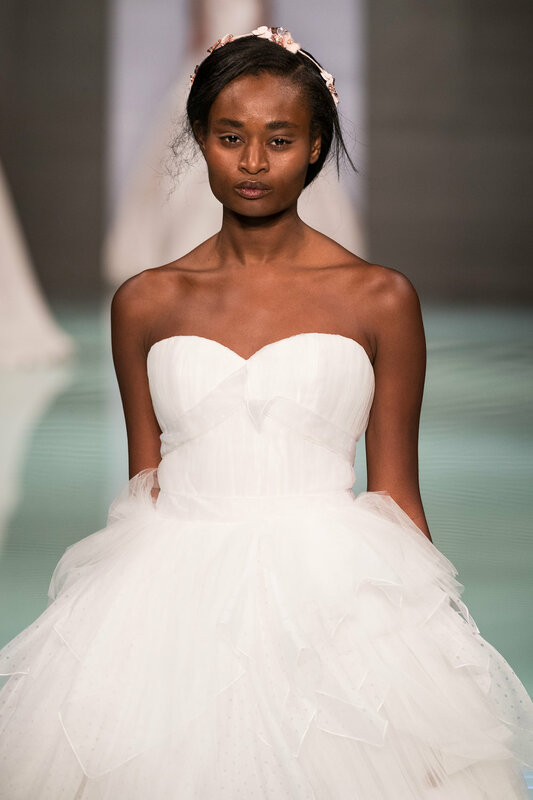 The collection that graced the stage was nothing short of breathtaking, elegant, feminine, contemporary, enchanting and classic. All of which showcased his passion for fashion and his signature looks constructed of highly structured and architectural forms of art. 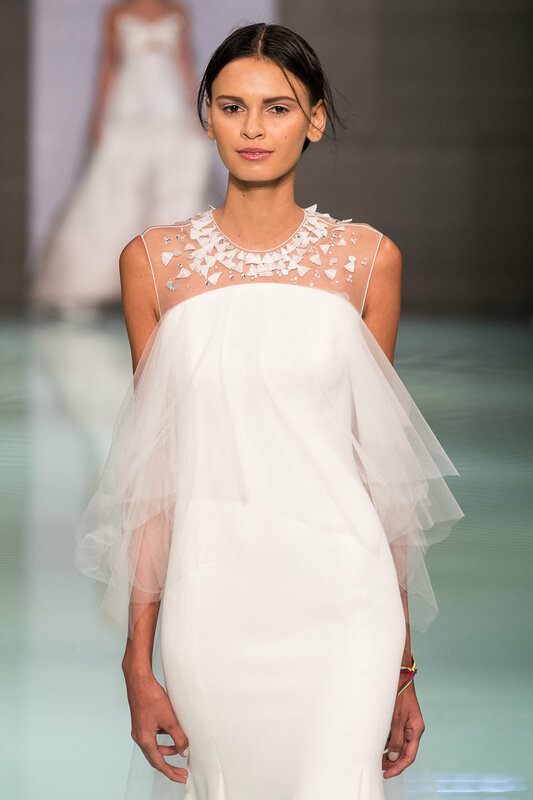 The BIG STANDOUT design of the entire Fashion week was the closing look of the night. 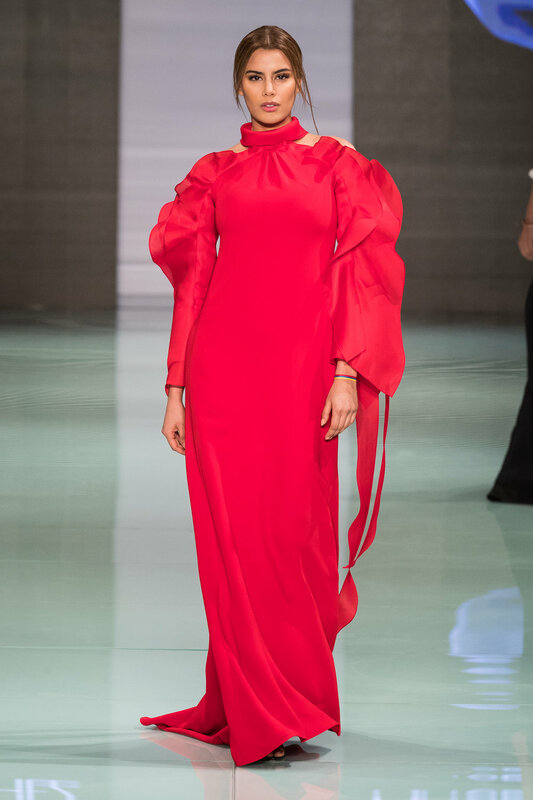 A beautiful, red flowing, cascading ruffle waves down the sleeves, full of drama couture dress worn by Ariadna Gutierrez, Miss Columbia 2014 and 1st Runner up at Miss Universe! Way to close a show with a bang! 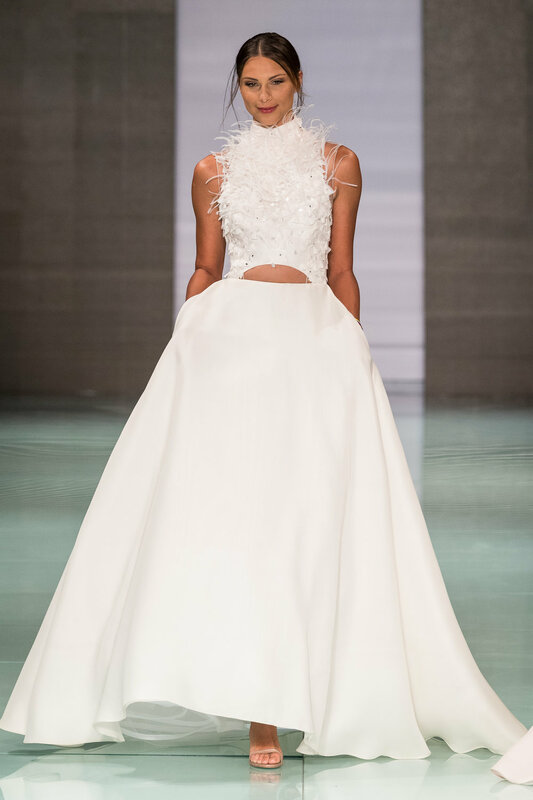 This gown has everyone talking about the success of Miami Fashion Week! Fashion review by Tiffany Konecko of A MOM IN HAUTE PURSUIT. To learn more about Angel Sanchez go to angelsanchezusa.com and @angelsanchezusa.